← Happy 90th Anniversary Reese’s! 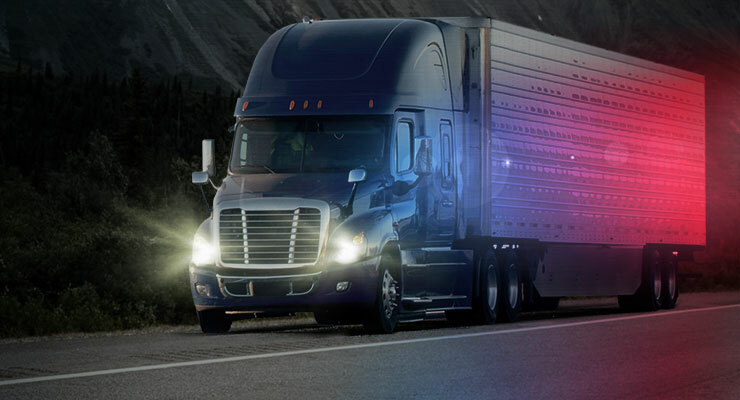 Although this year CVSA will focus on hours-of-service compliance, the vehicle inspections remain important and will include examinations of brake systems, coupling devices, steering components, exhaust systems and many other mechanical systems essential to the performance the vehicle. Brakes are always one of the most common reasons vehicles are placed out-of-service during Roadcheck. The problem is typically related to brake stroke. According to FMCSA, each commercial motor vehicle manufactured on or after Oct. 20, 1994 must be equipped with automatic slack adjusters. These slack adjusters are designed to maintain the proper distance between the brake lining and the brake drum. If the stroke of a slack adjuster is out of specification, a mechanical defect exists. This condition could be due to excessively worn parts such as s-cam bushings or the slack adjuster itself, or it may be a general lack of lubrication in the slack adjuster or s-cam system. Modern engines allow extended oil drain intervals, but you must always consider your chassis lubrication interval separately. You likely need to have your chassis lubricated before your engine oil and filter(s) are ready for service. Get your vehicle’s brake stroke checked. If the stroke is out-of-specifications, have that wheel-end checked to determine the root cause of the problem. Once the problem is corrected you’ll spend less time with a DOT officer during the 72 hours of International Roadcheck. If you want to drive with confidence during Roadcheck, get a free mid-trip inspection at a TA Truck Service location. Our expert technicians will perform a quick, non-measured inspection of key items that DOT officers look for, but that you might not notice. That includes the tire tread depth, brake shoe thickness and condition, mud flaps, air leaks, wheel seals, fluid leaks, exhaust, mirrors, fire extinguisher, triangles, lights and conspicuity tape. 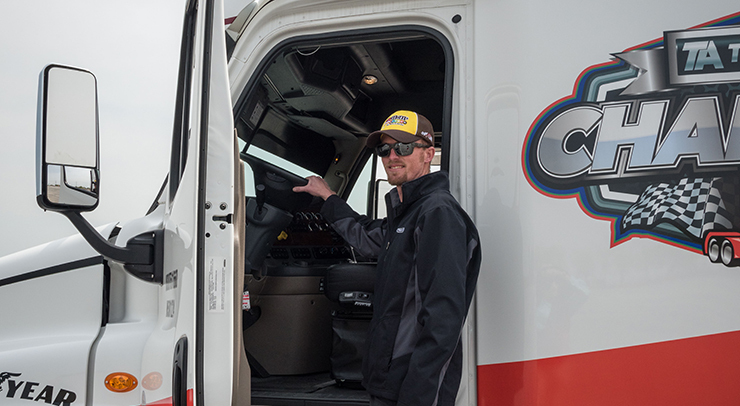 To get your mid-trip inspection, simply visit any participating TA Truck Service location between May 1-June 7 and ask the truck service advisor for your coupon.